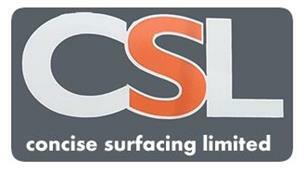 Concise Surfacing Ltd - Driveways/Patios/Paths, Landscaper based in Bognor Regis, West Sussex. Concise Surfacing Ltd is a family run paving contractor & tarmac driveway specialist, offering top quality tarmac driveways, patio installations and block paving in the Bognor Regis, Littlehampton and Chichester areas. We offer excellent levels of customer service, customer satisfaction and we pride ourselves on delivering the highest standard of craftsmanship in all work undertaken. With years of experience in tarmac drives, blocked edge driveways and private roads, Concise Surfacing Ltd near Chichester will meet all your surfacing and driveway requirements. A new Driveway, Patio or some Block Paving will enhance your home and increase its value, whilst allowing you to enjoy your outside space even more.